The Compact SUV or the CUV segment is seeing a lot of activity the one that is gaining a lot of importance off late in India because of the tax exemptions available to the cars smaller than 4 metres. And it is not just in India, the Compact SUV segment is fast gaining importance all over the world. Hyundai, one of the most dominant automobile players in India had announced last month that it had 4 models in the pipeline for India and one of them was going to be a Compact SUV. 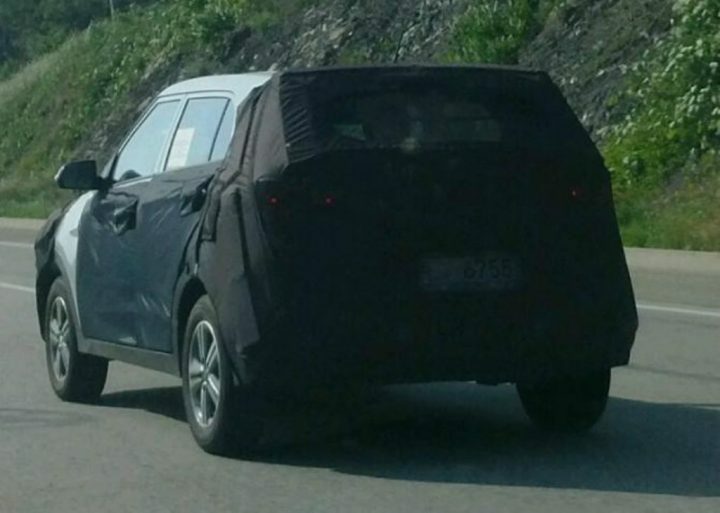 Now we have got spyshots of the same, caught testing in Korea. The Sub-4-metre SUV from Hyundai will be priced aggressively by the company and will probably give the Ford EcoSport and the likes a run for their money. 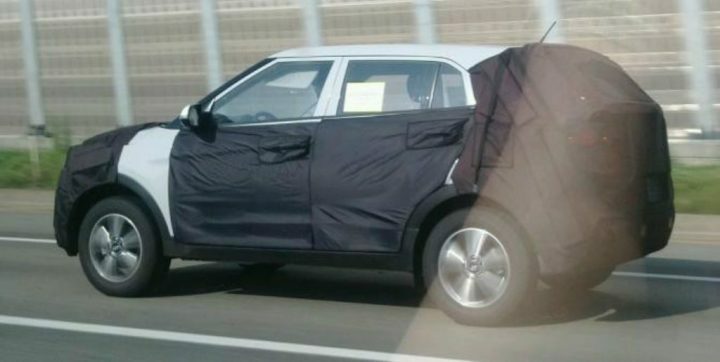 Though not much of the SUV has been revealed from the spyshots, what we can say for sure is the fact that the car will be carrying on the fluidic design philosophy of the company. Its length will be a tad under 4 metres and it will be powered by a petrol and a diesel motor. It is possible that a differently tuned version of the 1.2 litre Kappa petrol motor found on the current generation i20 might be used in the SUV when it is launched in India. The other choice for a petrol motor could be the 1.4 litre Gamma unit also currently in use in the i20. Hyundai could use the 1.4-litre CRDi diesel engine used in the 120 or it could bestow it with the 1.6 litre diesel motor found in the Verna, we are hoping they’d pick the latter engine to power the new SUV. As previously stated, the car will touch down on Indian shores in the next two years. So 2015 can be a safe bet for the launch of the car in India. The company also plans on launching a compact sedan alongside the CUV which will also come in the next two years. Keep tuned to Car Blog India for more news on Hyundai’s future plans in India.